The city of Minneapolis has bought into the voodoo economic theory that they can regulate the labor market and bend it to their will. Even if you don’t have employees in Minneapolis, you need to stay on top of all the local HR laws because they are a sign of things to come. Especially if you live in a city that is governed by Democrats. The city of Minneapolis has bought into the voodoo economic theory that they can regulate the labor market and bend it to their will. They’ve jumped on the municipality minimum wage bandwagon and passed an ordinance creating a city minimum wage of $10.00 effective January 1, 2018 and increasing each year until it reaches $15.00 in 2024. The City Council and Mayor apparently unhappy with the federal and state governments lack of action to protect the city’s citizens health, safety and general welfare, have taken matters into their own dirty little hands. You see, the labor market, and every other segment of the economy, are far too complex for any one politician or gaggle of politicians to understand, let alone control. They can manipulate the markets, thereby making them more expensive and complex. They can even kill certain markets sending them into the black market. But the only certain outcome of their meddling is damaging unintended consequences. Seattle’s minimum wage took effect April 1, 2015. The minimum gradually increases to $15 per hour as early as this year, and as late as 2021, based on the size of the business. After reaching $15 per hour, it will increase every January 1st thereafter, based on the Consumer Price Index for the area. So how’s it working so far for low-wage workers? The answer, not so well. According to The Seattle Minimum Wage Study Team at the University of Washington, employers have cut their payroll, postponed hiring and reduced hours or terminated employees. Overall, the study says the average low-wage worker lost $125 month because of the increase in the minimum wage. And those are the results of just the first 9 months. Long before the full-effect will be felt. But, maybe economics work differently in Minneapolis. After all, I’m sure, being the rhode scholars they aren’t, the City Council members know what they’re doing. I don’t know if they have the authority to do this or not, but other municipalities have had their actions overturned by the state and blocked from future similar ordinances. According to an article on the New York Times website titled: Blue Cities Want to Make Their Own Rules. Red States Won’t Let Them., states have banned local ordinances from passing minimum wage increases and paid sick days. In St. Louis for example, a new State law takes effect on August 28th pre-empting the City’s minimum wage ordinance. Their $10 minimum only took effect on May 5, 2017. It was going to increase to $11 on January 1, 2018… but, no more. And in another example, just as the city of Birmingham passed a minimum wage ordinance, the State of Alabama passed a law pre-empting the City from regulating minimum wage. So, time will tell if Minneapolis’s ordinance survives. The Minneapolis Ordinance says the City has broad authority through its police powers to enact regulation to further the public health, safety, and general welfare. It says increasing the minimum wage DIRECTLY promotes the health, safety and welfare of workers in the City. The other stated reason is a living wage. 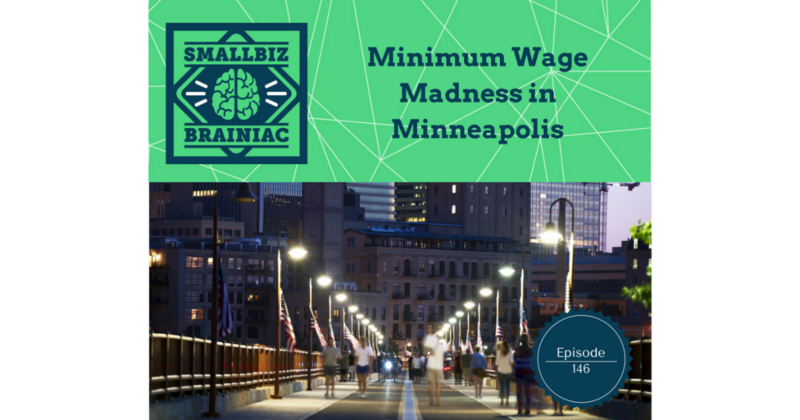 The City Council says the living wage in Minneapolis is $15.25 per hour for a single person and $19.80 for a family of three, yet they’re only increasing the minimum wage to $15.00. And it won’t reach that level until July 1, 2022 for large employers, and July 1, 2024 for small employers. For large employers the rate starts at $10.00 on January 1, 2018 and jumps to $11.25 on July 1, 2018 and then it goes up every July 1st thereafter. For small employers it starts at $10.25 July 1, 2018 and goes up every July 1st thereafter. A large employer has more than 100 employees and a small employer has 100 or fewer. To determine you business size, take the average number of employees who worked each week in the previous calendar year. If you’re a new business, you’ll look at the average number of employees you had during the first 90 days following your first employee starting work. You have to count all employees, including part-time, joint-employees and temporary employees. 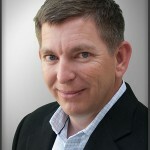 You can’t use a PEO or a temporary staffing company to escape the large employer rates. Also, if you are a franchisee and you have more than 10 locations nationally, you’re a large employer. If you have employees outside the city limits and one of them works 2 or more hours in the city then you have to pay them the City minimum wage for those hours. Employees just passing through the city aren’t covered, as long as they do not have any business related stops except for food, gas or a personal errand. There are of course penalties for non-compliance. If you don’t keep proper records, that’s $1,000 for each failure. If you don’t post the proper notice provided to you by the City’s Department of Civil Rights each year, that will cost you $1,000, and if you retaliate against one of your employees for exercising their rights under the Ordinance you’ll have to pay between $700 and $3,000 for each violation. Also, you’re liable for back-pay and compensatory damages. But the real kicker is for restaurants. Tips are not counted as wages toward the minimum wage. The Maine House of Representatives passed a referendum in November 2016 to raise both the regular and the tipped minimum wages. Tipped servers began to complain and they succeed having the tipped minimum excluded from the increase. “Their fears were twofold, said Sue Vallenza, a 55-year-old bartender at the Pilot House in Kennebunk, Maine, who immediately began lobbying state legislators to overrule the referendum. Many servers feared the higher costs to owners would lead them to raise prices or cut shifts. And at a packed, 10-hour April meeting of the Maine Legislature’s Labor, Commerce, Research and Economic Development Committee, dozens of servers also said some confused customers were already tipping less. So, we’ll see… maybe Minneapolis servers will lobby the City Council to get an exemption. These social engineers see nothing immoral about making it illegal for you to contract with another individual for their labor at a price both parties are willing to accept. The only thing minimum wage laws do is cause the less skilled workers to be unemployed. And why does the government, at any level, have the right to mandate every employee be paid an arbitrarily derived living wage? Dispensing coffee or flipping burgers was never meant to support you, let alone a family of four. What fool ever thought that was the case? Is everyone entitled to living wage based on their own circumstance? This rapidly expanding fight for a living minimum wage is hurting low-skill workers. The higher you push the cost of labor, the more affordable replacing technology becomes. Remember, a $10 restaurant wage translates to a cost of about 11.20 per hour due to employer taxes and workers’ compensation insurance. That’s not including any benefits like health insurance. McDonals’ kiosks cost $60,000. That’s a one-time cost. The kiosk will work 24/7 and won’t sue you.